Congratulations to Shruti Poulsen – SEHD Impact! 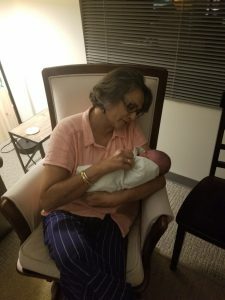 Congratulations to Shruti Poulsen on the birth of her beautiful granddaughter, Evren Pauline Wittman who arrived into the world on August 7th at 2:55 AM. Also, congratulations to her proud parents, Priya and Jesse.